One day consultation on Child Marriage vis a vis Trafficking is organised by Justice and Care, in association with School of Law, Rights & Constitutional Governance, TISS, and Maharashtra State Commission for Women (MSCW). Studies show that India has the highest number of child brides in the world. It is estimated that 27% of girls in India are married before their 18th birthday. Child Marriage is recognized as a gross violation of Child Rights, globally – a violation that has a negative impact on the physical growth, health, mental and emotional development of a Child. While both girls and boys are impacted by the practice of Child Marriages, the number of girls that are affected by this phenomenon is a much larger number. Although National/State data do not make provisions to show the direct relations between Child Marriage and Human Trafficking, individual studies have shown that Child Marriage is one of the many excuses used to traffic young children. The School of Law Rights and Constitutional Governance (SLRCG) has been has been working in partnership with Justice and Care and Maharashtra State Commission for Women (MSCW) since 2015. 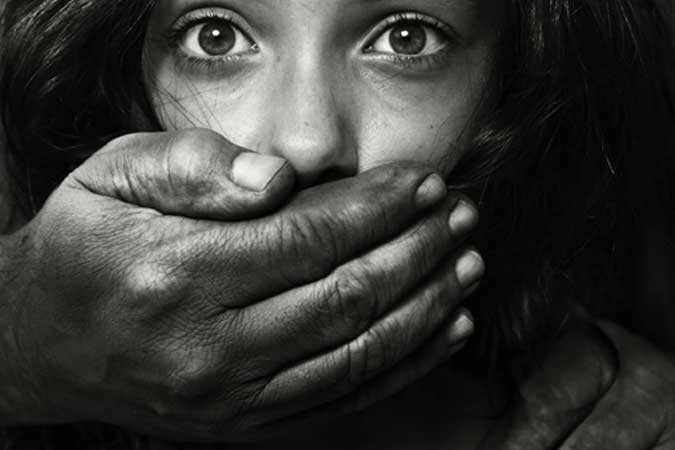 Justice and Care, as part of its policy initiatives to fight Human Trafficking, has been commissioned by the Maharashtra State Commission for Women (MSCW) to conduct a research on “Child Marriage vis a vis Trafficking : Maharashtra”. As part of this research, Justice and Care, in collaboration with School of Law Rights and Constitutional Governance (SLRCG), TISS, and the CSO Coalition to end Child Marriages in India plan to host a consultation on the said topic. The objective of such a partnership is to ensure the involvement of a plethora of experienced individuals working in the sector, to make discussions reach its objective and contribute positively to the above mentioned research. Positive contribution to the above mentioned research on “Child Marriage vis a vis Trafficking: Maharashtra”. Contribution to the proposed National Conference on Ending Child Marriages – A conference to be hosted by the CSO Coalition to end Child Marriages in collaboration with the National Human Rights Commissions. Research Presentation on the above mentioned topics. Selected abstracts will be given a chance to present their research and findings at the consultation. Who Can Participate : Academicians, Students, NGOs, Social Workers, Bureaucrats, Professionals, Researchers etc. from various fields of law and/or social work, allied subjects and multi-disciplinary fields are invited to contribute to the Consultation. Abstracts to be submitted by Academicians, Students NGOs, Social Workers, Bureaucrats, Professionals, Researchers etc. Co-authorship is allowed up to 2 persons. The abstract may be drafted keeping in view the present legal developments, societal impact, case studies, etc., if any. The abstract may entail 3-4 keywords. All the abstracts will be subject to blind peer review. 20 best abstracts will be shortlisted for a presentation of the research and findings at Consultation on Child Marriage vis a vis Trafficking: Maharashtra. The best presentation will be selected for a cash prize and a possible opportunity of publishing of the paper. The maximum word limit for abstracts is 500 words. No Registration fee will be charged for presentation or participation of the consultation. Participants will be selected on First Come first serve basis.